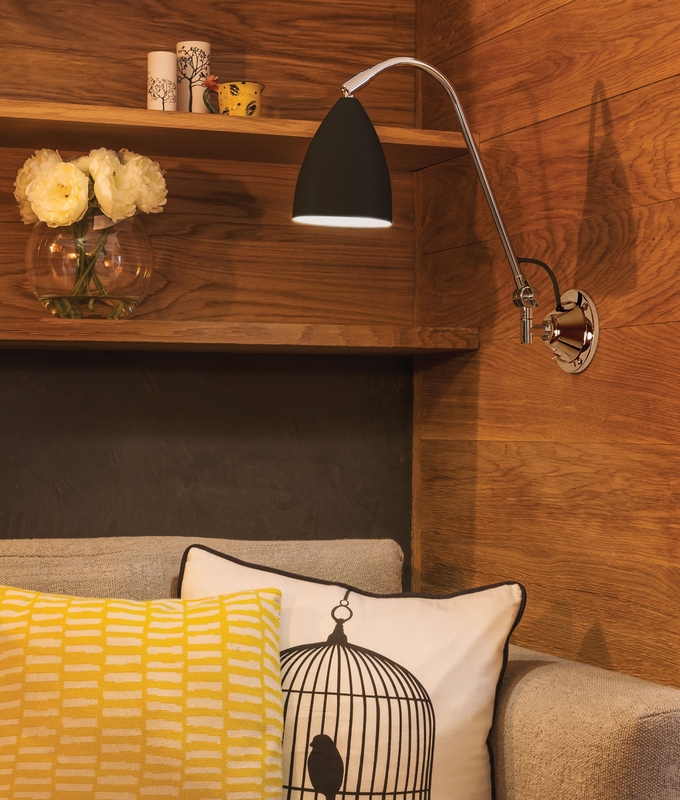 Modern interior wall light which is complete with rocker switch on round backing plate. Ideal for many locations in the home including the office. 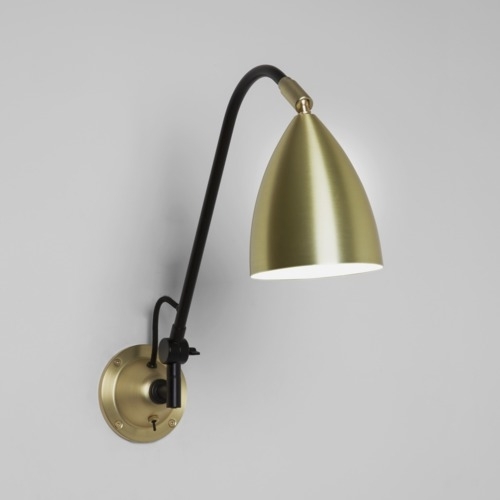 We feel this fixture works best as a bedside reading light, due to the levels of adjustment it has to offer. Fully adjustable - can swivel left to right on the backing plate. By loosening the grub screw on the arm you can move the fitting up and down (tighten when happy with position) and fully adjustable head. Available in three finishes making it easier to match your decor. The colours available are painted black, cream or matt gold. All shade finishes sit on a chrome body. 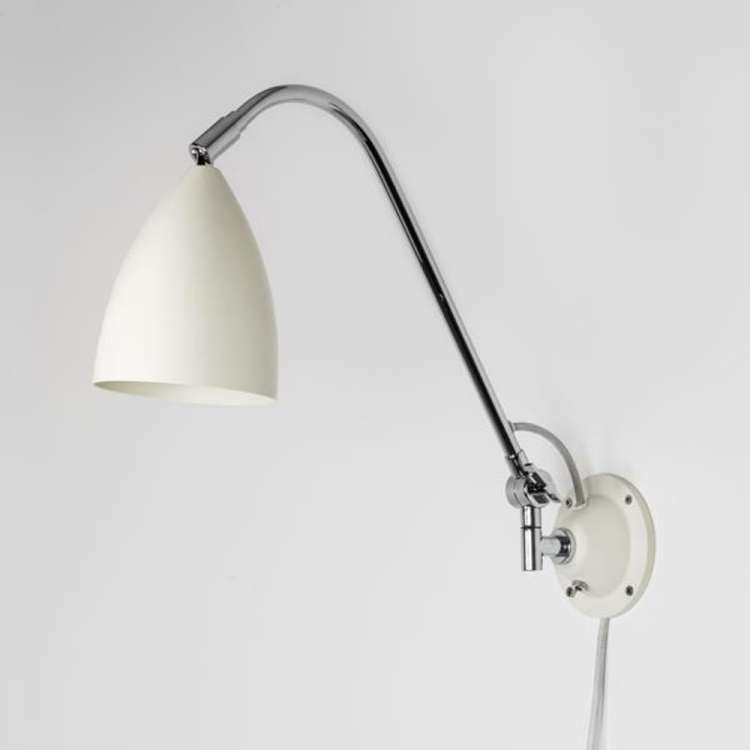 The black option has a polished chrome wall bracket and the cream has a cream finish wall bracket. The maximum height of the fitting is 550mm, and the maximum projection is 470mm. Supplied with a trailing edge lead (length 1200mm) with a UK pin plug allowing for quick and easy installation. If you would like this to be wired into your mains switch, this can be done by removing the trailing lead - snipping it off at the head. Designed for use with an E27 42 watt maximum lamp, fully dimmable if required.